Flavour Blogger Template is a Beautiful and Responsive Blogger Template. Flavour blogger template is Specially Designed for minimalist design lovers or a blogger who just want to share there thought or mind. 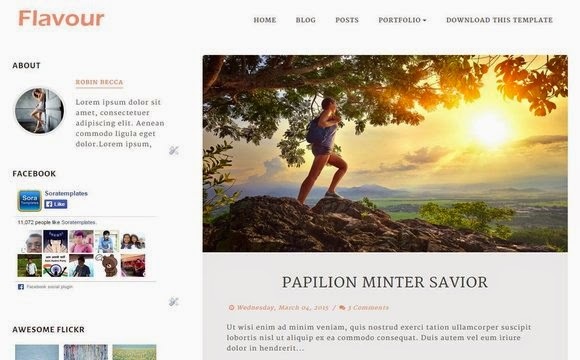 If Your're Looking to give your visitors a fun new way to browse your latest posts, display loads of content in a beautifully simple and cool way then Flavour blogger template is a great choice for you. Flavour Blogger theme is specially designed for personal blog lovers, which can be used in various projects or blogs like - outfit of the day blog, personal blog, Article news blog, Business blog and many other similar projects.